We have to agree with George Parker. This Draft/FCB-created Super Bowl commercial for Taco Bell introducing its new Fiesta Platters dish is, well, shall we say, not so good. It's cheesy and not in that good cheesy food way but in that over reaching, we will make this funny no matter what sort of way. Nada. It ain't happening. Fleshing out its copy point "every sip gets you closer," this BBDO NY-created Super Bowl commercial hurls Justin Timberlake through the air in response to three girls sipping their Pepsi's by the poolside. It's a simple message for Pepsi Stuff. The more you drink the more you win: Justin Timberlake MP3s, HDTVs, and millions of songs from Amazon. What Is Love? What Is Love? What Is Love? Damn, It's A Pepsi Ad! OK, what, what, what is it about Hadaway's head-bobbing, dance-inducing What is Love? song from the movie Night at the Roxbury that is so insanely catchy? We can't get it out of our head! It's been there since the friggin' movie came out! Ten years! Make it stop!! Please. And damn, if Pepsi had to go ahead and use it for one of their Super Bowl spots featuring Busta Rhymes, LL Cool J, Macy Gray, Missy Elliott, Troy Aikman, Joe Buck and a host of others for its Diet Pepsi Max. In fact, our head's bobbing right now as we write this. It's all we'll hear during the entire game Sunday! Eesh! Including the actual game, the four hour pre-game show and a House lead out (cheating a bit), FOX is expected to take in $225 million in ad revenue this Sunday. Boosting that figure to $260 million will be a $35 million take across FOX-owned affiliates. Counting just the 63 ad units within the game itself, the tally comes to $170 million. MediaWeek's John Consoli reports advertisers who booked last minute are paying close to $3 million per spot. Though the source won't confirm which advertiser this teaser is for except to say it's not for Geico which, of course, pretty much leaves Budweiser Sobe Life Water, we're just going to come right out and say it's for Budweiser Sobe Life Water. In the video, a bathing lizard, Lee, takes a call from his parents and shares the news he'll have the lead role in a Super Bowl commercial. Jokes about having to appear naked in the commercial ensue along with the fact he'll be accompanied by a supermodel. 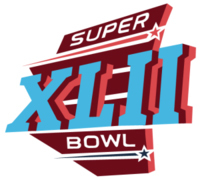 We love how the Super Bowl itself isn't the stand alone advertising venue it once was. Sure there's always been hype pre and post game but we love when marketers craft teaser goodies such as this one to generate interest. Online ad network AdBrite would like the Super Bowl-obsessed advertising industry to know an advertiser, using the company's full page ad unit, could buy 100 million impression for just 20 percent of the cost of a Super Bowl Spot. While AdBrite is clearly aware a buy such as this can't rival all the fanfare and added publicity that goes along with appearing in the Super Bowl but it is indicative of online media's ability to deliver mass messaging along with highly targeted messaging. As cost efficiently as the math works out on an AdBrite buy, much of what is gleaned (or lost) from a Super Bowl buy is the accompanying press play that is closely wrapped with the package. ALL one has to do is take a look at what GoDaddy does every year in this area. Join us before, during and after the Super Bowl to talk about the ads in the game. Praise Them. Crap on them. Wish you created them. Click here for a full sized version of the room with a window where you can upload commercials and view those others have uploaded. As they say, join the conversation.